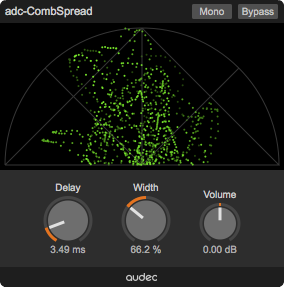 adc-CombSpread is a stereo imaging effect that widens mono or narrow sound source. It uses comb filtering technique. 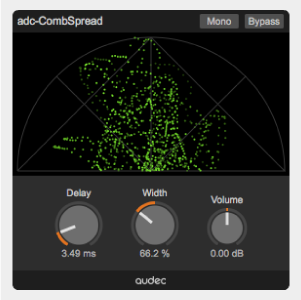 Audec is a VST/AU plugin developer. Copyright © Audec, All right reserved.